Measure the horse's circumference (or girth) in inches. 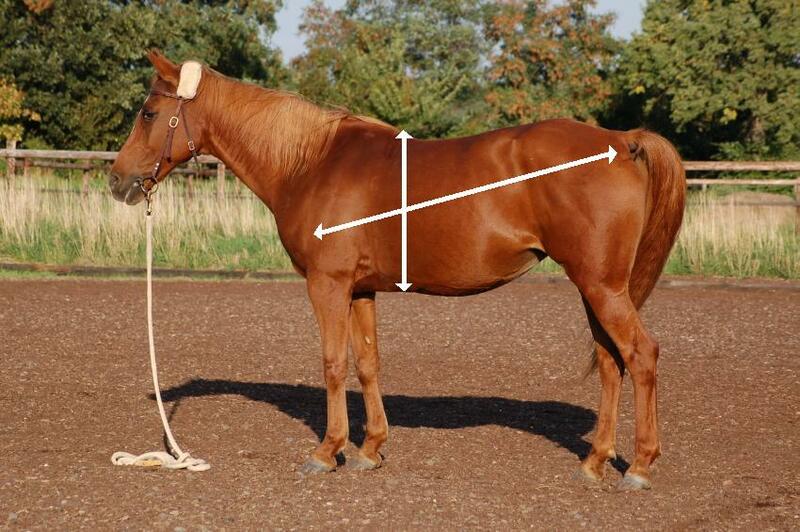 Measure the horse's length from the point of the chest to the point of the rump in inches. This measurement will probably be an angle. Enter both measurements in inches into the form below and click "Get Weight." The resulting figure will be plus or minus 3% of your horse's actual weight. Horse Height(from withers): in inches(1 hh = 4"). Horse Heart Girth: in inches.